Make the most of your time in Arizona with a full-day tour that visits both the Grand Canyon and Sedona. 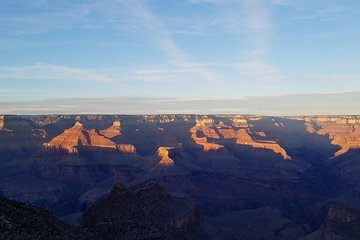 Depart early from Scottsdale or Phoenix to explore the south rim of the Grand Canyon, taking in two prime viewpoints and strolling along the rim, then eating lunch. Continue to Sedona where you check out the uptown district, and get photo ops at red rock sites.